Today I am back with another Whiff of Joy sneak peek, this gorgeous image is 'Busy Posties'. Another new Die-light this month is the 'Rolled Scalloped Flower' and I had to use it with this stamp, such a cute image and the flower was perfect for it! The twine is Whiff of Joy's 'Button Twine' and the charm is a new release this month, it will be available on the 11th June. A close up of my flower and the super sweet charm, the little white rose is Wild Orchid and the lace is from my stash. Thanks for stopping by and don't forget to join us on the 11th June for Whiff of Joy's blog hop! 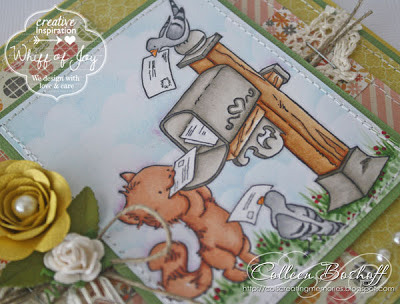 A wonderfull image and the card creation is very lovely, well done! Totally ADORABLE! 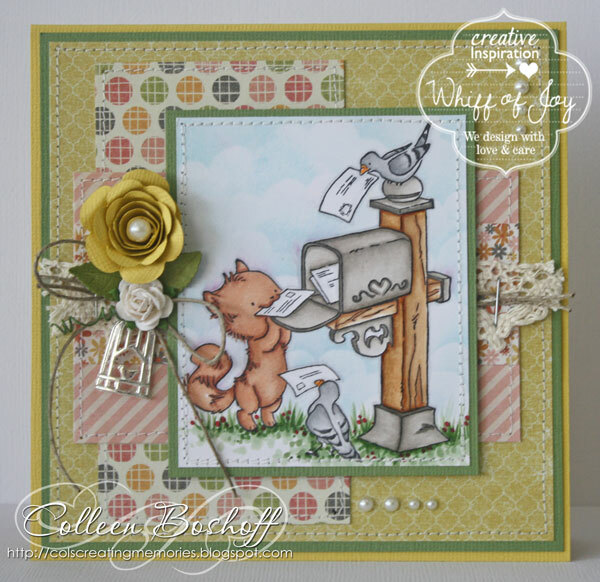 Your springy colors are awesome, love the charm and springy papers. Simply Maya and her Ladybug! 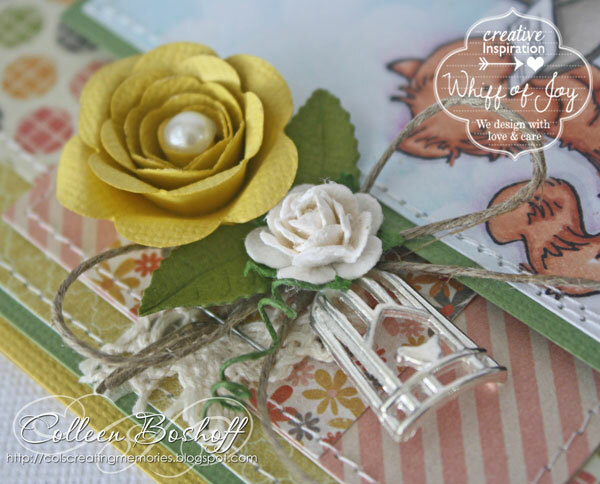 Whiff of Joy's Sneak Peeks!